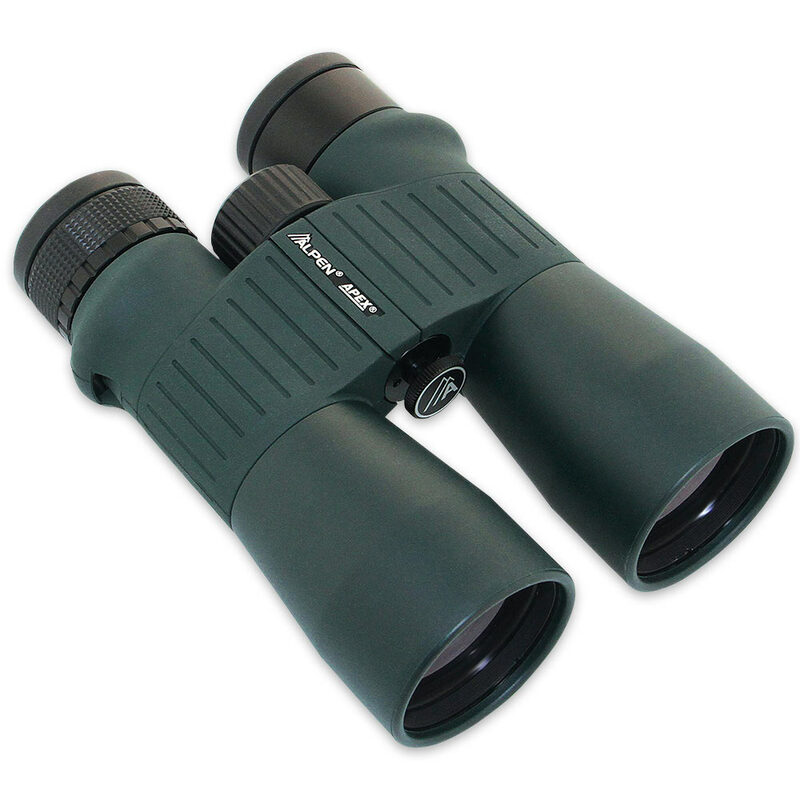 Alpen 10X50 Apex AP Waterproof Binocular | BUDK.com - Knives & Swords At The Lowest Prices! The Alpen 10X50 Apex AP Waterproof binoculars define the best in optics quality, featuring superb workmanship and the latest optics technology. The BAK4 optics give you clear, bright, high resolution images and the PXA phase, combined with the HR metallic prism coating, delivers a brilliant, crisp image under the wettest conditions. Rubber armoring, ergonomic styling and lightweight construction allow tireless use and comfort. They are fully waterproof, fog-proof and have long eye relief, which is great for eyeglass wearers. The twist up eye cups provide comfortable viewing with or without glasses. You get soft rubber rain guards, a deluxe travel case and a premium quality neck strap with the binoculars.